This final stage of fabrication occurs after metal or plastic parts have been machined, forged, extruded or engraved. 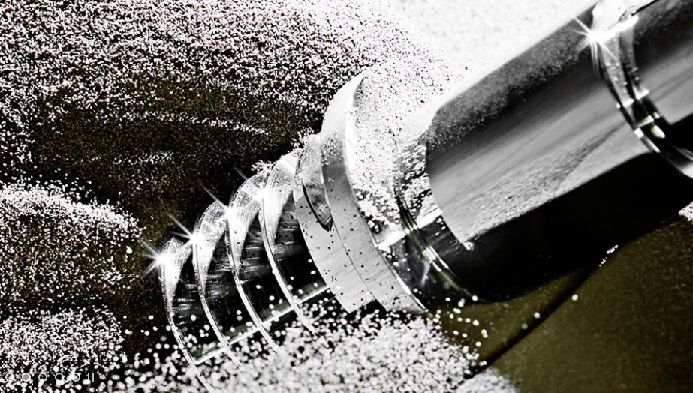 Many metal parts go through deburring and polishing, especially those that need to be exceptionally smooth for performance, safety or aesthetic reasons. Polishing Equipment – OTEC Precision Finish, Inc.
Polishing is implemented in the manufacturing of medical instruments, to prevent future corrosion or remove oxidation in automotive parts or to improve the look of a product such as a rare stone or jewel. A minor imperfection or notch on the surface of a product could result in injury, machinery breakdown or production delay. Therefore, polishing machines and vibratory finishing equipment are a worthwhile investment for any manufacturer. Since there is a wide variety of products which need to be buffed and polished, polishing equipment varies extensively in size, shape and mode of application. Large polishing machines use belts, wheels or brushes to polish plastic, metal and stones. Tumblers, vibratory finishers, hand-held wheels, belt grinders, nylon abrasive brushes, cloths and detail polishing are used for smaller parts, while deburring machines and robotic polishing are used for larger, less complex parts. For single part polishing, polishing lathes are used. Depending on the material being polished and the level of finish required, polishing wheels and belts and grinders can be made from various compounds of cotton, cloth, rubber and mineral abrasives. The goal of polishing, unlike that of deburring machines, is not to remove excess material from the surface of a product, but rather to smooth the surface. Therefore, polishing materials have low abrasive properties and tend to soften the surface of the part. Buffing, a particular type of polishing, also uses very low abrasion media to create extremely smooth and shiny surfaces. Buffing can be done by an automated machine, but occasionally is done by hand too. Buffing compounds are sometimes added during the polishing process to create extremely smooth and shiny surfaces. Polishing often occurs in stages, starting with a tumbling media of larger particle size and moving toward a smaller and finer abrasive material which results in a smoother finish. Industries which require polishing equipment include: screw and fasteners manufacturers to finish their products, forger and metal stampers and machined parts manufacturers for both function and aesthetic, household tile, marble and concrete manufacturers, car manufacturers to polish and buff car parts and food and dairy industries to achieve sanitary conditions in metal storage containers. Polishing Equipment Polishing equipment is used in the process of finishing to remove any remaining surface or interior burrs or irregularities and imperfections to create a smooth finish.